Since the most recent book I’ve read involves the legend of the Flying Dutchman, I figure I should give an overview of that story. I actually thought I already had, but I can’t find it through a Google search. 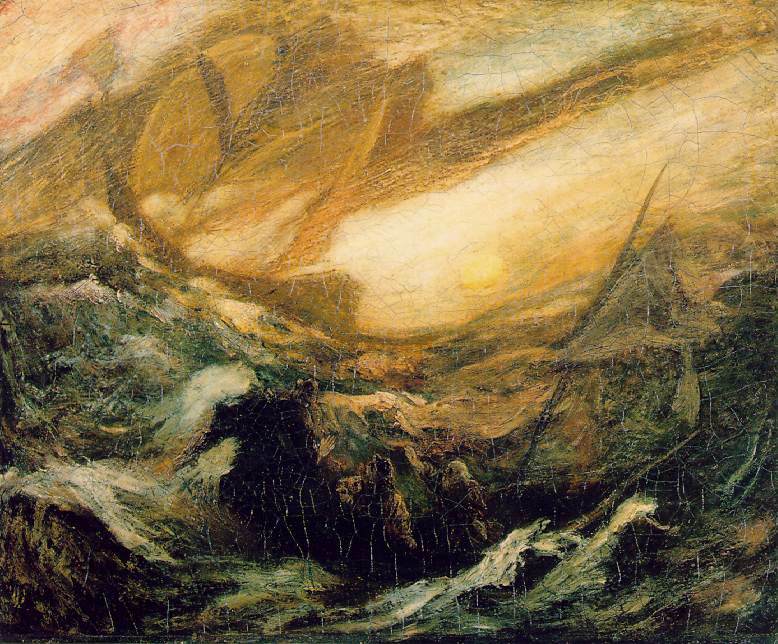 The first reference to the ghost ship, probably based on sightings of a mirage on the waters, appeared in 1795; but it’s likely the myth itself predates that. Later, the legend became more specific, focusing on one Captain Vanderdecker or Vanderdecken, who was cursed after insisting on sailing around the Cape of Good Hope despite unfavorable weather conditions, and then swearing that he would round the cape if it took until doomsday. They say idle talk costs lives, but here it resulted in an eternity of sailing around the world in a spectral vessel. Vanderdecker is thought to have been based on Bernard Fokke, an actual seventeenth-century Dutch captain who made such incredible speed on his voyages from Holland to Java that he was rumored to have been aided by the Devil. Heinrich Heine, whom you might remember from his poem about the Lorelei, was the first to add in the idea that the curse could be broken if Vanderdecker found a faithful wife, and that he was allowed to come ashore once every seven years to look for one. This idea was adapted into Richard Wagner’s operatic version of The Flying Dutchman, perhaps the most famous account of the legend. The story is also referenced in the story of Errol and Olivia in Dragon Quest III. 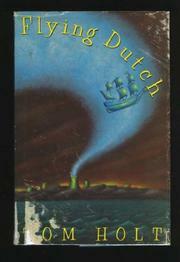 The book I read is Flying Dutch, by Tom Holt, which gives a different account of the fate of Vanderdecker and his crew. Instead of being cursed by the Devil, they accidentally drink an elixir created by the alchemist Juan de Montalban, which makes them immortal but also gives them a smell so foul they have to remain at sea in order to avoid bothering people with it. The part about going ashore every seven years is true, however, as that’s when the smell temporarily dissipates. In the modern era, an accountant named Jane Doland meets Vanderdecker, and learns that he took out a life insurance policy. It has since accrued so much money that any attempt to pay out the benefits would bankrupt the entire world economy. Montalban also shows up again, and I wondered if he was based on a real person, but the closest I can find to someone with his name is a writer named Juan Perez de Montalban. Anyway, Montalban has been pulling the strings of various governments for years, and was responsible for both the invention of the computer and the nuclear industry, all so he could figure out a way to combat the foul smell. Danny Bennett, a character from Who’s Afraid of Beowulf?, appears in this book as well. That’s actually the only other Holt book I’ve read so far, and I liked Flying Dutch better. It takes the same idea of the world of myth and legend meeting up with the modern world in a humorous way, but develops it better. This entry was posted in Book Reviews, Dragon Quest, Music, Mythology, Tori Amos, Video Games and tagged bernard fokke, captain vanderdecker, dragon quest iii, flying dutch, flying dutchman, folk tales, heinrich heine, juan de montalban, legends, phantom ship, richard wagner, tom holt. Bookmark the permalink.